If you have spent time with Latinos, you know they have the reputation to not be in a hurry. This was true in Teresita’s case. We met Teresita about four years ago when her husband started attending our church. We visited them and tried to help them but she never seemed as interested as he did. She never came to visit, but had heard the Gospel. A few months ago, she and her son decided to get into church. As they were walking down the road trying to decide where to go her son said to her, “Let’s go to Pastor Mark’s church.” They came and a few weeks later my wife led her to Christ. “Better late than never,” we often say, but in this case that was surely true! Octavio recently came to church looking for help. He was down on his luck and got a job with a man from our church. He is saved, but knows very little. William, one of our institute students, volunteered to meet with him regularly for discipleship. They are doing great and Octavio is growing and learning (so is William). It is such a joy to see people decide to really follow Christ. Starting over is sometimes the wisest choice. 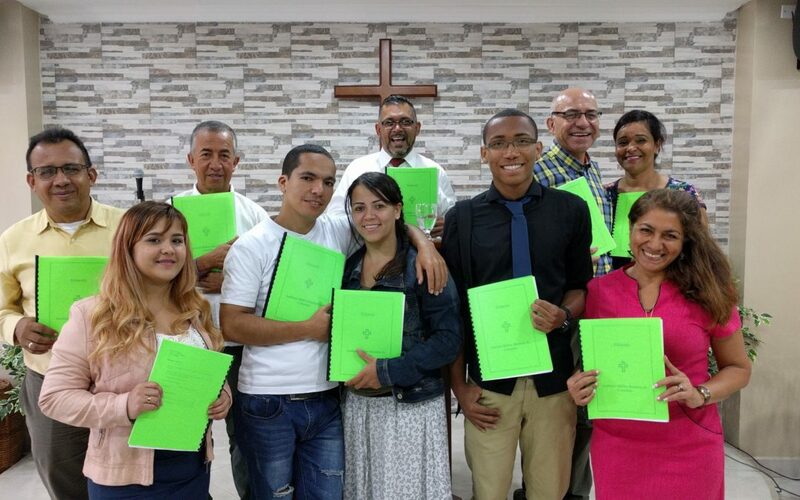 We are about to finish the first full year of our Bible Institute. It has been a challenge and we have made lots of adjustments. It has been so encouraging to watch as believers become more equipped and gain skills to teach and train others. Pray for them, and for God to call many.